Pasadena resident Bill Podley (center), president of the Valley Hunt Club, joins his wife, Kathy, and others on the club’s entry in Monday’s Rose Parade. The club founded the parade in 1890 as an effort to promote Pasadena and celebrate the new year. 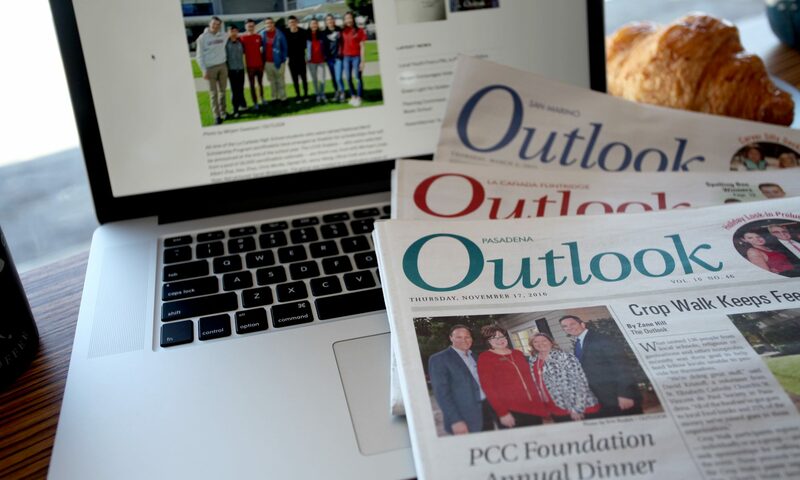 At the celebrated start of 2018, the world focused its attention on Pasadena Monday morning with the 129th Rose Parade rolling past millions of television viewers and hundreds of thousands of people along the parade route. 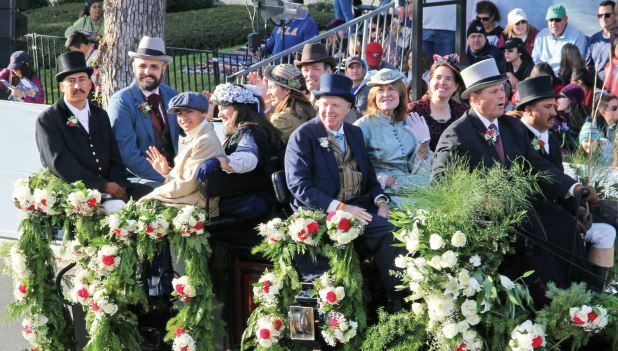 The annual New Year’s Day festival of flowers, music and sports served as a salute to community spirit and to a love of pageantry that have thrived in Pasadena for more than a century. Nine hundred and thirty-five members of the nonprofit Tournament of Roses Association supplied 80,000 hours of combined manpower to ensure the event’s success. Pasadena native Lance Tibbet served as president for the 2017-18 Tournament of Roses, providing leadership for the parade as well as the thrilling Rose Bowl Game, in which Georgia defeated Oklahoma 54-48 in double overtime. 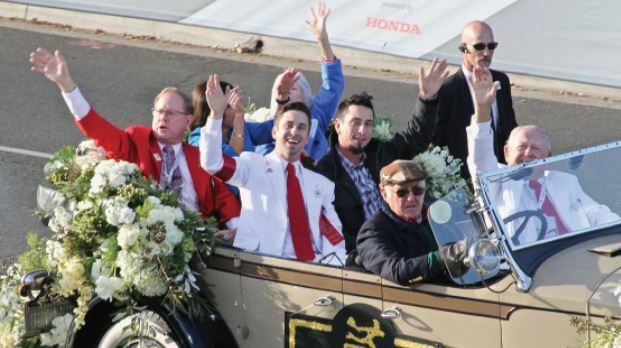 Tournament of Roses president Lance Tibbet (left) rides in Monday’s parade along with his wife, Amelia, sons Seth and Joel and his father, Bert M. Tibbet, a retired 24-year Tournament of Roses member. 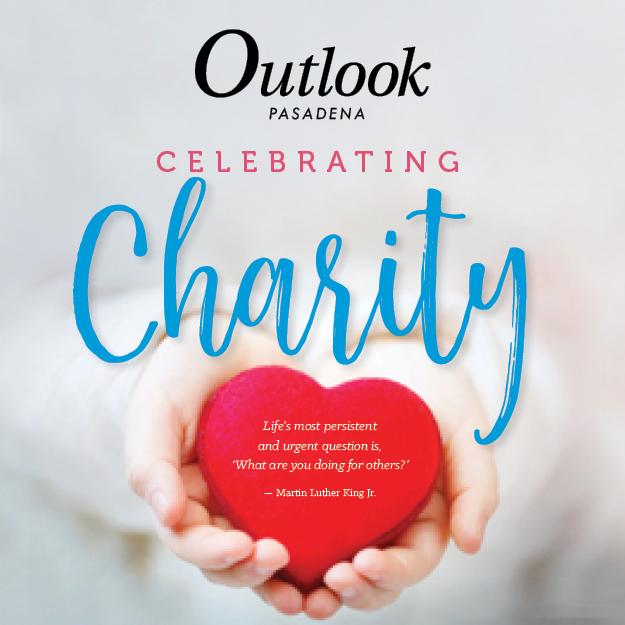 Last year, Tibbet announced “Making a Difference” as the Pasadena Tournament of Roses theme as a way to honor and celebrate all of the people who quietly act in selfless, generous and kind ways to aid or benefit others. Actor and humanitarian Gary Sinise was the parade’s grand marshal, selected for making a difference in his community through his work with veterans. All the floats also showcased what’s making a difference in their communities while they paraded down Colorado Boulevard, interspersed with show horses, marching bands and celebrities. Decked out with hundreds of thousands of flowers, floats were prepared over the course of most of a year. Before the parade, the Tournament of Roses presented 24 floats with official award honors, including the Sweepstakes Award, which went to Singpoli American BD, for presenting the most beautiful entry by encompassing float design, floral presentation and entertainment.